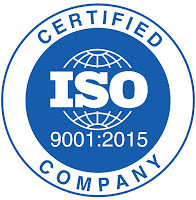 In March we were awarded the prestigious ISO 9001: 2015. The ISO 9000 family of quality management systems standards is designed to help organisations ensure that they meet the needs of customers and other stakeholders, while meeting statutory and regulatory requirements related to a product or program. This ensures that we deliver top quality products and services in customer focus, motivation of top management and continual improvement. 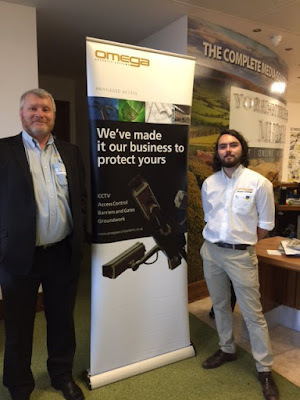 Omega Analytic is the sister company of Omega Security systems, founded in November 2015, it started trading this year. Their flagship product is the OAC system which has been installed at the University of St Andrews and Imperial College London. The system has worked so well that the University of St Andrews have recently started utilising data from the system on their website so that members can check the current occupancy level of the gym before they arrive. In July we were awarded the Investors in People accreditation. Since 1991 Investors in People has set the standard for better people management. Held by 14,000 organisations, the Standard defines what it takes to lead, support and manage people well for sustainable results. It ensures that we are a great employer and provide an outstanding place to work. In September Omega Security Systems completed the install of Omega Analytics OAC system at Imperial College London. The entry system is designed to empower staff and students by informing them when the gym is busy and fully occupied. It also adds to the security and safety of the gym by informing users when the lane alarm and fire alarms are in action. Our members of staff Sherry, Lee and Simon made it into the Yorkshire Post when they were invited along to speak at Innovation Network. The event, focused on the Northern Powerhouse and regional growth agenda, was hosted by Yorkshire Post and Leeds Beckett University. The event was also attended by Henri Murison the director of the Northern Powerhouse initiative. This event gave Omega, as a high growth SME, the chance to give our viewpoint on the Northern Powerhouse proposal. Jack our newest apprentice engineer joined us in early September, he said: “even though I’ve been here a short while, I feel I have picked up a lot of things since I’ve been here and I am looking forward to learning and looking forward to continue enjoying my apprenticeship here at Omega Security Systems.”Aislinn, a Leeds University post graduate, joined us in late September for a business and marketing internship. The internship was 3 months but this has now been extended so she can continue the great work. You can read more about both Jack and Aislinn’s experiences on our blog. In October we became DHF accredited. DHF is the only unified trade body representing the interests of industrial doors & rolling shutters, garage doors and automated gates sectors. They provide a high standard of training and advice to raise the standard of the industry by liaising with compliance authorities such as Health and Safety Executive and Trading Standards. Our accreditation with DHF ensures that our engineers are well trained, we comply with the latest legislation and standards and are helping to raise the standards of products and services within the industry. In December we completed work at Simply Gym Bedford, Simply Gym’s first 24hr club. 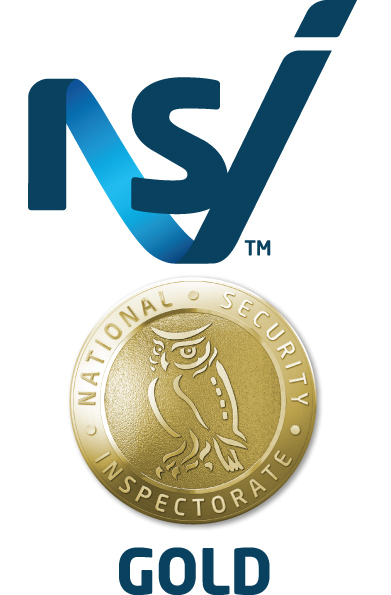 Omega installed a security set up including CCTV, intruder alarm, portals and membership access control. This was a great site to work on and we are proud to have been part of creating their new state of the art gym. Rick has been with the company over two years, initially as an engineer. Rick moved across to project manager this year. He has enjoyed taking control of some of the larger scale projects and is looking forward to advancing the role further after Christmas. We are proud to have been working on a number of JD Gym’s this year including Salford, Birmingham, Preston, Leeds and Bradford. Omega Security Systems installed a set-up of turnstiles, access control and assistance alarms. To have won so many contracts with JD Gym’s shows a great partnership which we are looking forward to continuing in the future. Finally we’d like to say a big thank you to all our customers for their business this year, we’ve had a great year but this would not be possible without you. Merry Christmas and a happy New Year!